There are many festivals that are celebrated all over India. The festivals are Diwali, Holi, Christmas, Eid, Ganesh Chaturthi, etc. For me every festival has special meaning and I usually enjoy every festival. Here I’ m listing short and sweet festival essay in simple language. This includes my favourite festival Diwali, Eid, Christmas, Holi, and Ganesh Chaturthi. Different parts of India celebrate different festivals. Diwali, however, is a festival that is celebrated practically all over the country. It is the festival of great joy, and indeed, my favourite festival. Diwali, the festival of lights, is celebrated towards the close of the dark period of Ashwin which falls either in October or in November. On this day Lord Rama came to his home after 14 years of exile. It was a day of celebration towards him. Long before the day of the festival people start cleaning and decorating their homes. Markets look colourful with bunting, electric lights, different types of paper lanterns and flowers. All over there is air of excitement. Diwali is also considering as New Year, of Hindu’s. On this day people wake up early and bath, wear new clothes and seek the blessings of their elders. Then they visit temples and the house of their relatives and friends to greet t them. They exchange sweets and gifts. Usually people say “Happy Diwali”. All through Diwali, children burst crackers, adult often joining them in the lighting of fireworks. Women decorate house entrances with colourful ‘rangolis’ and prepare mouth-watering sweets. Most probably adults play card game as per the rituals. The night of Diwali is long and very noisy, that reflect a sounding effect. At sunset, people light earthen oil lamps outside their houses in long rows. People of all religions join in the celebrations. Really this festival never interferes between other religions people as everyone enjoys this festival. What about me? Basically I wake up early in the morning have a bath, wear new clothes and usually wait for sunset. So I can bust crackers with my friends. On the last day of festival called “Bhai Beej” or “Bhai Duj” the brother visits his sister’s house, seek her good wishes and gives her gifts. Diwali is, indeed, a very enjoyable festival. I await this festival eagerly every year, and I always have a wonderful time with my family and friends. Christmas is celebrated with great enthusiasm whether it is celebrated in Europe where it is cold or in Africa where it is hot, the only difference is the climate. People celebrate this festival with great joy and happiness. It is celebrated on 25th December every year. It is also known as Feast Day of Christ and celebrated in the honor of the birth of Jesus Christ (Son of God). He was born to Joseph (Father) and Mary (Mother) in the Bethlehem. It is celebrated across the world, especially people of Christian religion. The celebration starts four weeks before the Christmas, people do lots of preparations and decorate their houses and church etc. On this day, there is a ritual of singing carol songs and distributing gifts, chocolates, sweets, Christmas cards to the children’s, family members, relatives, friends and neighbors. On this day Santa Claus comes secretly in the mid night at everyone’s house to give amazing gifts to everyone especially children’s who eagerly wait for this day and for Santa’s gifts. Children’s become very happy when they see their gifts in the morning. On this day all the school, colleges, office and universities are closed so that everyone can enjoy this festival with their friends and family. People decorate their houses with Christmas tree. 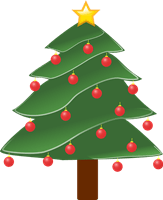 The Christmas tree is decorated with lights, chocolates, stars especially a big one at the top of the tree, candies, bells and small pieces of cotton wool to represent the snow found in the cold countries in winter. Many people arrange big feast where lots of delicious dishes, sweets, chocolates, fruits and nuts etc. are prepared. On this day people wear colorful dress, dance, sing, party and enjoy with their families. Everyone wishes ‘’Merry Christmas’’ to each other and visits houses to exchange wishes and gifts. Everyone get along on this day no matter they are rich or poor. In schools and colleges many events are organized for the students like carol singing, dancing etc. students wear Santa caps or Santa dress and celebrate this day in a very joyous way. At late night people worship their god Jesus Christ who is considered as the Son of God. It is believed that he was sent on earth to save people lives and to protect them from their sins and sadness. So, the people confess in front of the Jesus Christ about their sins and sufferings and sings holy songs to praise the lord Jesus.